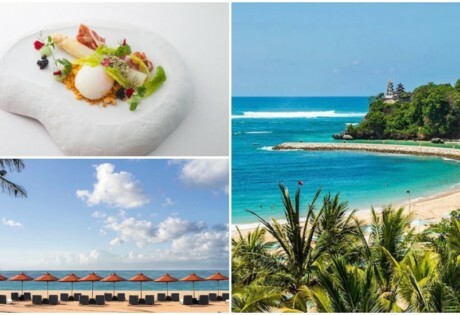 Bali isn't only about beautiful beaches and sunset cocktails (though we LOVE those). This paradise island is home to stunning waterfalls too - here are 14 of the best to hunt down on your next adventure. 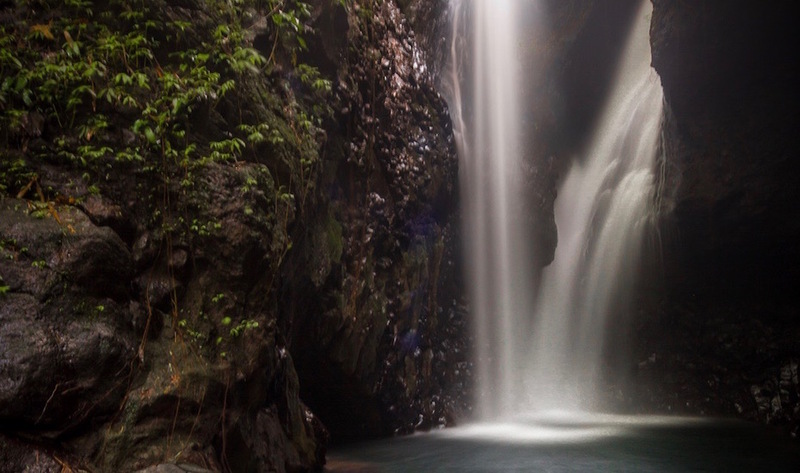 If walking through dense jungle, clambering over rocks and ducking under lush green canopies is your idea of fun, then hunting for Bali’s hidden waterfalls needs to be on your Bali bucket list. 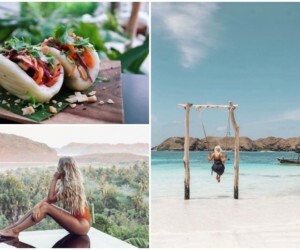 And luckily for us adventurous souls, Bali is home to more than 14 of these hidden treasures, many of which are off the beaten track and unbeknownst to the tourist crowds (picture-perfect Instagram feeds here we come!). 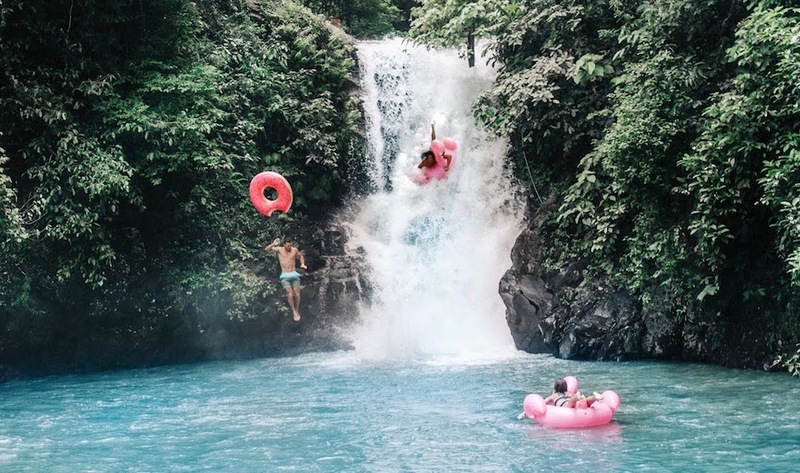 So to help you on your next wet adventure, we’ve put together a list of the best waterfalls in Bali for you to discover. Go on, jump right in! To whet your appetite and introduce you to Bali’s waterfall game, GitGit in Singaraja is one of the easiest to find and reach by road. 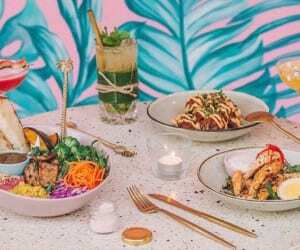 Because of its accessibility, GitGit has become one of Bali’s most famous tourist attractions, with refreshment stops and even a few arts and crafts shops for some retail therapy. 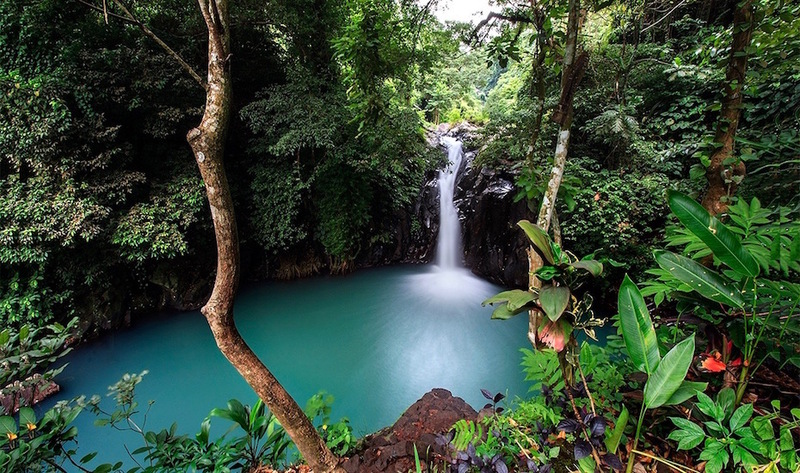 The waterfall is about thirty-five metres high, surrounded by lush greenery, and if you’re really lucky, you might even spot wild monkeys hanging out in the trees and drinking from the falls. Oh, and for those who believe in old wives’ tales – local legend has it that couples who bathe together under the waterfall will separate soon after their visit… you have been warned! 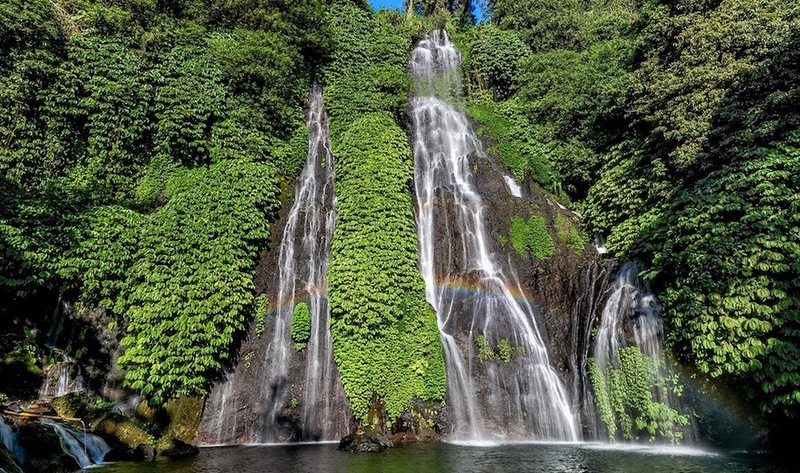 Nestled in the rainforest around Munduk Village in Buleleng, lies Niagara Munduk – the Niagara Falls of Bali. There are two falls here, with the most spectacular being Munduk Waterfall which some visitors have compared to a film set. Not only is the fifteen metre high waterfall a jaw-dropping spectacle, but the area around it, with its two twin lakes, is also a stunner. 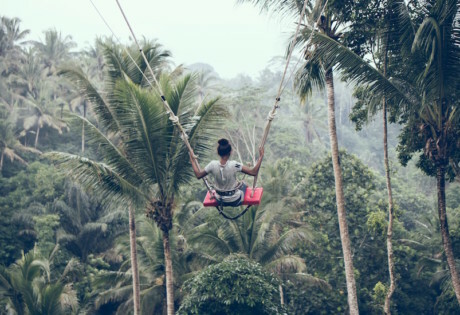 With clove plantations, rice fields and the backdrop of Bali’s beautiful mountains all around, Munduk is a great place to find some inner peace. 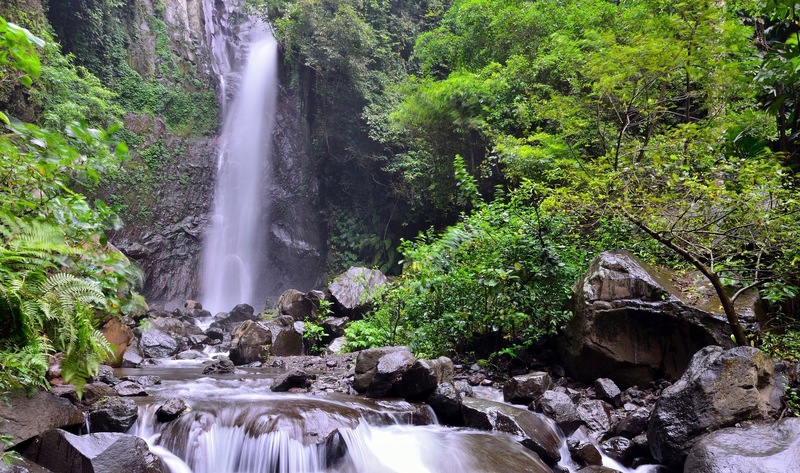 At Munduk Waterfall, there is a restaurant where you can enjoy some grub and a drink, before you journey one kilometer further to Melanting Waterfall, which is slightly taller than its sister Munduk and lets you splash around in the waters below. 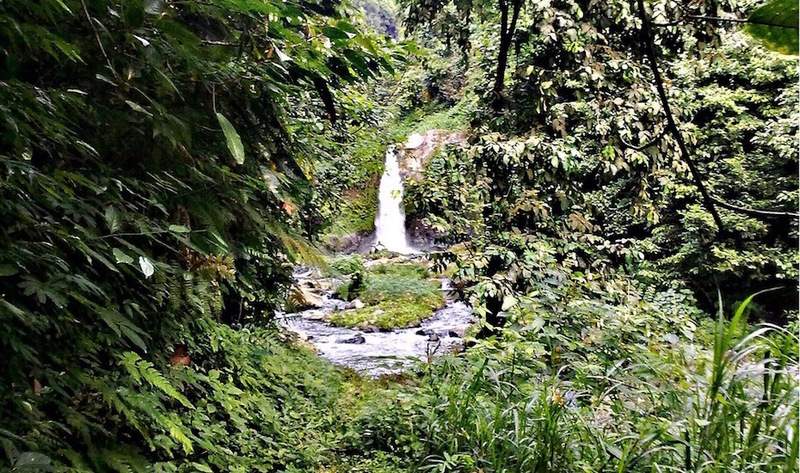 Hidden away in the hills of North Bali, this is not an easy waterfall to find. We suggest asking a local guide to help show you around, because it’s also a fairly hard trek to get to the base, but totally worth the hike. The waterfall is special in that there are two flows of water to be seen, with water cascading down steep rocks surrounded by gorgeous greenery. 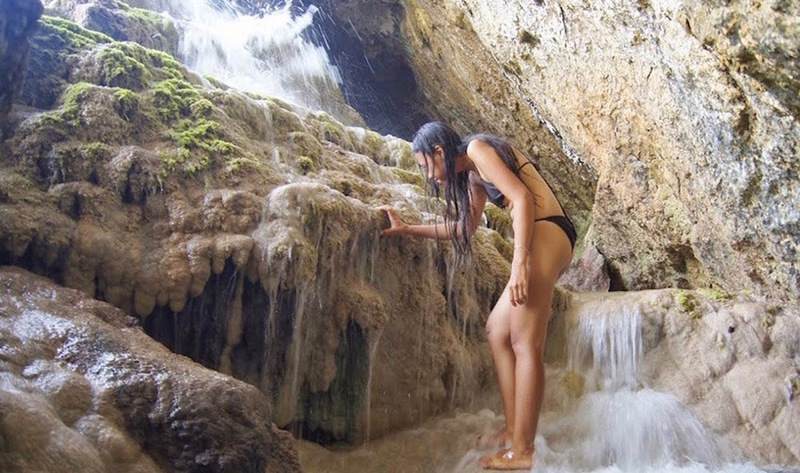 Here, you can take a refreshing dip in the plunge pool at the bottom – dunk your head and listen to the sounds of the water crashing down above – this is Mother Nature at her very best! Tegenungan Waterfall is not situated in the mountains, which is quite rare for waterfalls in Bali, but actually in Ubud village. Like many others, it still boasts beautiful lush greenery all around (and the added bonus of a beautiful temple nearby), and the natural springs are perfect for bathing. The water flow is heavy, leaving it clean and fresh, so you’ll no doubt spot plenty of locals flocking here each day to enjoy a swim or refreshing bath. And for any budding photographers out there, you’ll want to know that the best time to visit Tegenungan Waterfall is during the evening, since its west-facing location captures the beautiful afternoon light. Like the smell of coffee? Love bathing in fresh water? Head to Blahmantung Waterfall, nestled within the lush and undulating region of Tabanan, home to coffee plantations and rice fields for as far as the eye can see. 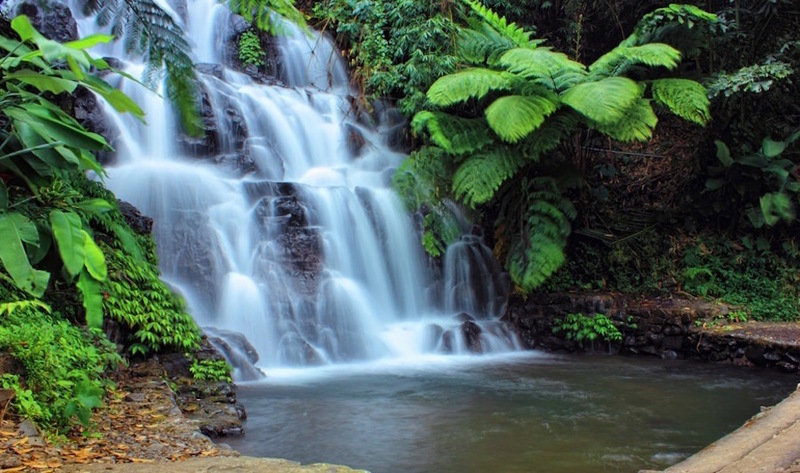 One of Bali’s hidden treasures, this gorgeous waterfall is surrounded by beautiful green rainforest and is a good 800 metre walk to get there. The trek is by no means easy, especially during the rainy season when you should be wary of slippery rocks – but it is so worth it when you arrive. At fifty metres high, it is a giant, and what’s more, you can jump into the plunge pool below and enjoy one of Mother Nature’s beauties. 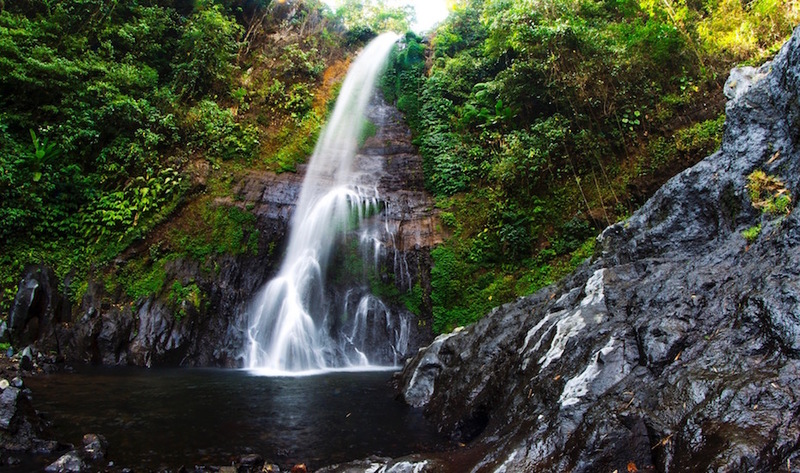 Not far from the ever-famous GitGit Waterfall, Jembong Waterfall is often overshadowed by its popular neighbour, but this is no bad thing. 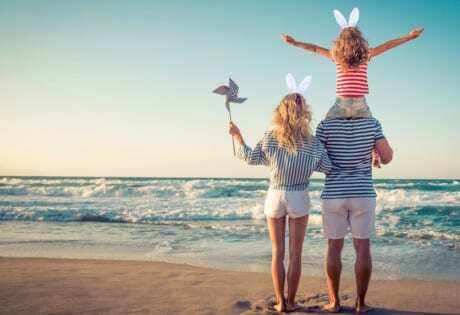 Spiritual healings are known to take place here, thanks to its stunning and unspoiled, natural surroundings that are perfect for such magical experiences. It is located in the Theobroma cacao area, so you walk amongst cacao trees to find it. The waterfall has a gentle slope and water flow, again making it an ideal setting for healings, and of course bathing. 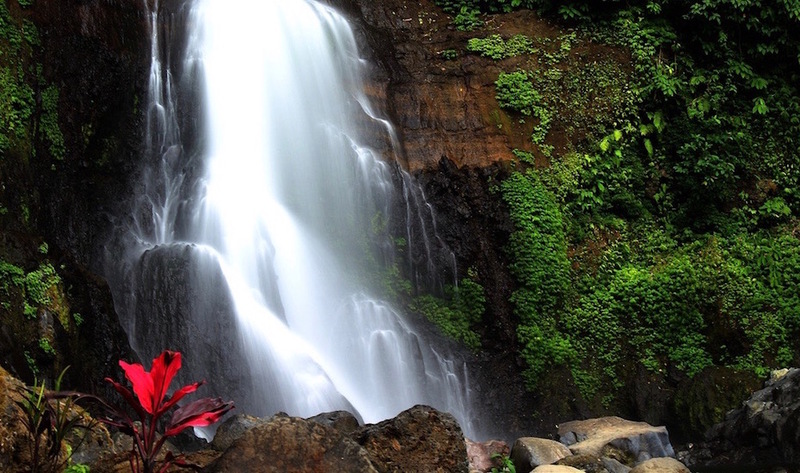 Locally, Jembong Waterfall is known as the best waterfall in Bali, but you can be the judge of that. 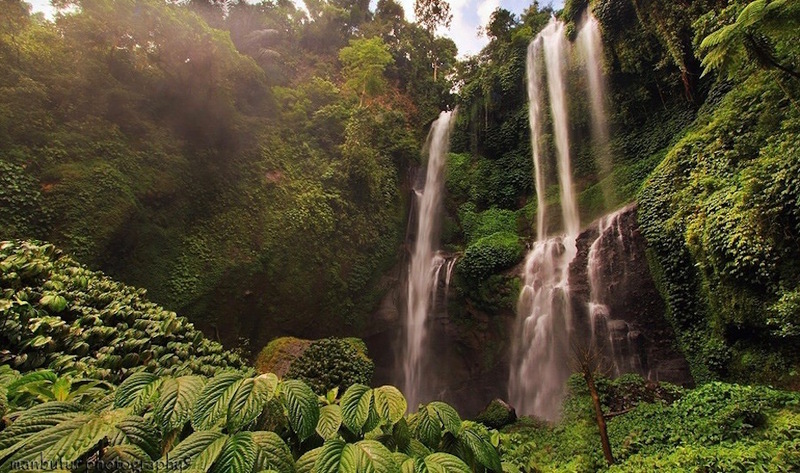 Located in the small village of Les, Yeh Mampeh Waterfall is one of Bali’s tallest waterfalls. 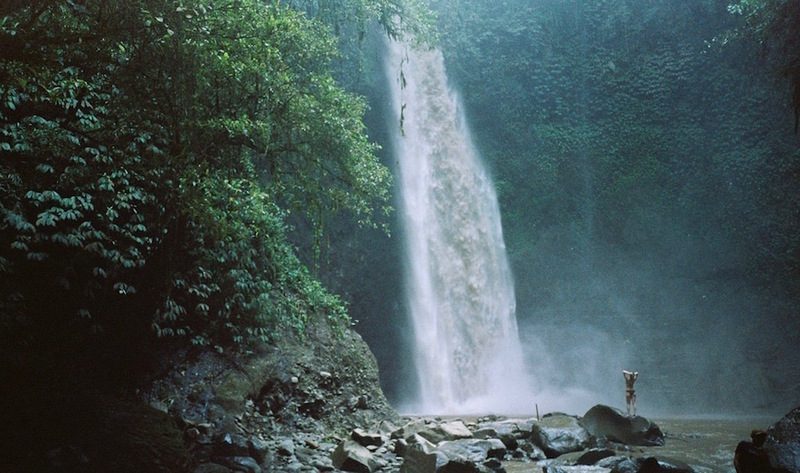 Aptly named, Yeh Mampeh means ‘flying water’ in Balinese, and it is virtually untouched. Hike down the falls, explore the nearby caves, swim in the clean fresh water, or just soak up the splendid views of the green hills whilst enjoying the cool, unpolluted air. Escape the hustle and bustle, and relax in this beautiful of natural setting. You won’t regret it. Carat Waterfalls (there are two here) are located close to the unspoiled village of Tamblang in Singaraja. To get there, you have to be ready for a bit of a tricky trek as the approximately 800 metre long path includes a wobbly bamboo bridge and some steep cliffs to scale (probably best to leave the kids at home for this one). Here, the two waterfalls await, a smaller and a larger one, plus a small pool at the bottom which is perfect for swimming. Legend says that the Carat Waterfalls are haunted, and bad luck will be brought upon any visitor who says negative things about the falls. So… think only happy thoughts here Honeys! 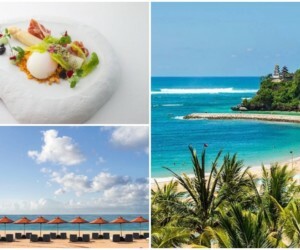 If you are heading to the north of Bali, you’ll definitely want to make a pit-stop here. 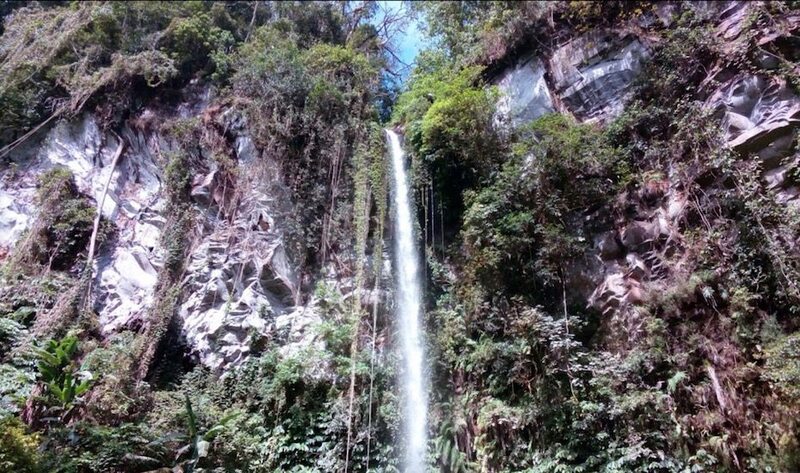 SingSing Waterfall is located in the Labuan Haji Temukus district, near Lovina. 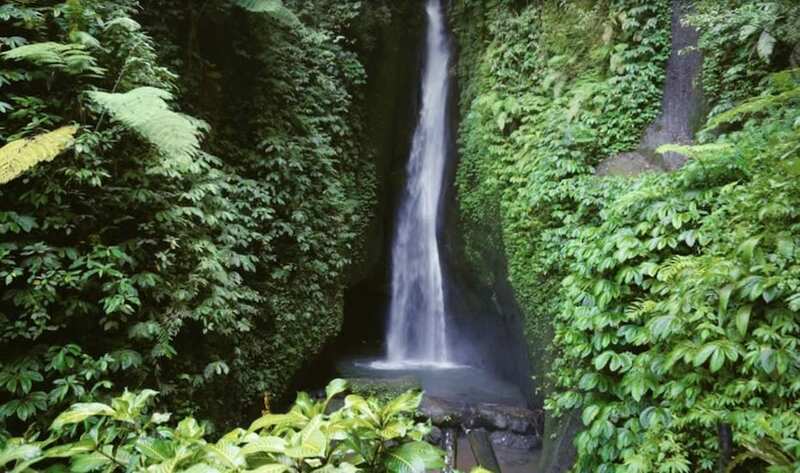 It has been touted as the most romantic waterfall in Bali, due to its calming and peaceful atmosphere. 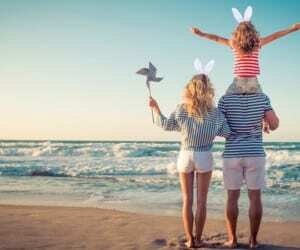 Sit among the natural surroundings with your lover, listen to the calm waters rippling down a cascade, or take a dip together in the fresh water, before heading to one of the yummy nearby restaurants for a bite to eat. 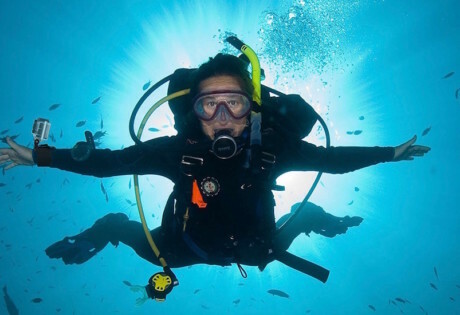 This experience is nothing short of paradisal tranquility. 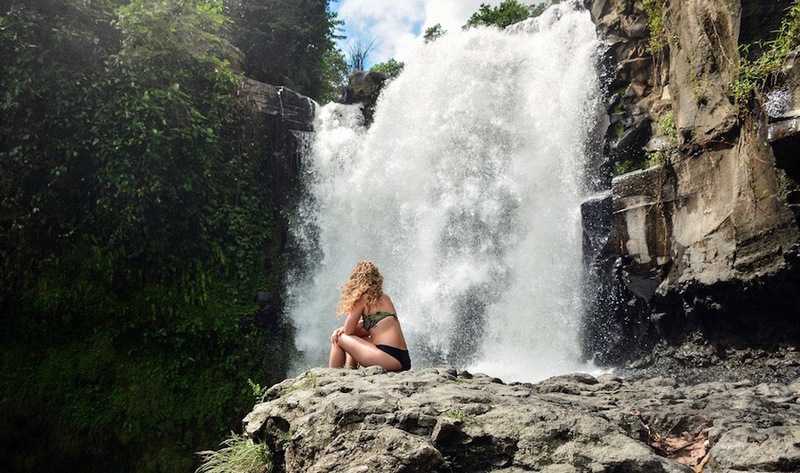 Full disclosure: we found Leke Leke Waterfall by accident, but boy are we glad we did. Slightly off-the-beaten-path and lesser known compared to Bali’s other big-name falls, Leke Leke remains somewhat of a secret. And you know what that means? Smaller crowds. In fact, when we were there we didn’t see a single other tourist (hoorah!). To get to down to Leke Leke, you descend a slightly steep (but already carved) dirt track to the bottom of a lush valley, before shimmying over a rickety bamboo bridge and through tropical jungle. You’ll hear the falls before you see them, and when you do, you’ll spot the breathtaking surge of bright white water falling between a dramatic black cave. A large rock at the forefront makes for the perfect perch to nab some Insta shots, while the small pool of water at the falls’ base is ideal for a refreshing dip.